Staff at branch were extremely professional, service was second to none and James snow was a terrific example of what is required to give great customer service. Decent service, member of staff called back when he said he would. Tyres not in stock (lease company wouldn't authorise use of ones that were in). Care taken with vehicle and good advice offered. Becouse stuff was fast, kaind and proffesional. Excellent service and a fair price.My car was ready for collection at the agreed time.Staff very friendly and helpful. The service I have received has always been excelent. The prices you charge are very fair. My car has always been ready to collect at the time I was promised. Your staff could not have been more helpfull on my recent visit. Friendly reliable and helpful staff. Speedy tyre change. Comfortable environment. Felt at ease. Excellent on line price. Personal experience of been a customer. Price quotation , customer service and professionalism! good price, did job well enough although took 40 mins to change one tyre. A very good experience, nothing was to much the staff went out of there way to help. Excellent, professional, friendly and quick service. Michael Parker was very knowledgable and helpful. Waiting area was very comfortable, surprising for a garage, even has a kids play area. James explained everything about the choice of tyres and why choosing the ones that we did was the best choice. 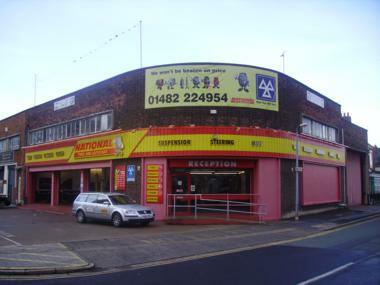 Branch we visited was anlaby road in hull. James Snow is to be congratulated. fast, friendly and good advice (even when they were extremely busy). Telephoned on the saturday, tyres ordered in and fitted on the monday. Staff gave good advice and provided information they could on the tyres they had available. All round Excellent - Good old fashioned customer service. I just wish all businesses provided such good service. I was told by main car dealer I needed 4 new tyres. Went to the branch, Anlaby Road Hull. They checked all tyres and gave me confidence that I have about 3000 miles more left before they need renewing. Mike was very professional, courteous and measured carefully the tread depth. I will come back as soon as I need the tyres replacing. Well done to them. I was particularly pleased with the attention afforded to me by Michael Parker who could not have been more helpful and also the friendliness and attitudes of the other staff I spoke to. Customer inter-action is important to me - and the above will ensure I return. It was such a difference to my main dealer/car supplier experience. Michael at hull centre was most obliging and knowledgeable. quick service. Very helpful staff. Good value for money. At first I was not sure because of the advice we received from the first mechanic was not correct because he said that we would have to book an appointment which delayed me for a fortnight. But Michael Parker was more helpful and honest with his advice to what tyres we need. Professional approach, decent price, polite helpful staff. No pushy sales approach and could book a time. Job completed quickly and exactly to the penny as quoted. excellant service , friendly staff, helpful,value for money. Excellent service with friedly and welcoming staff. the offers where very good value for money,the staff where very not so understanding and very unproffesional and not much hospitallity shown. I was extremely pleased with the prompt and efficient service carried out on my car and the courteous friendly treatment I received from the staff. Staff to customer relations excellent. Good tyre prices. Advice given on arrival. Vehicle ready when said it would be. Work done as per quote. polite staff ,excellant service what more can you ask for. Michael Parker and James at your Hull branch were extremely helpful and gave us very good service. A credit to your company. Excelent service and price. Fitter was polite, and did a first rate job, compared to our usual (KF) garage. From buying the tyres to having them fitted by pleasant National Tyre staff only took two days to organise. Everything worked out satisfactorily. I was offered very quick service and the work was also completed whilst i waited, i also took advantage of the free diagnostic, where i was reassured that what i thought was a leak, was ice build up on my air con unit. I was very pleased. Friendly professional service I can trust.